The 4th Annual Lake Champlain International Film Festival takes place November 1-5 at the Strand Center Theatre in Plattsburgh. The 2017 Film Festival celebrates its 4th year with films (click here: full program) submitted from around the world, and groundbreaking programming that shines a light on stories of journey and perseverance—from short docs made by young girls in a Syrian refugee camp (Laura Doggett’s Another Kind of Girl project) to Vermont-based filmmaker Mira Niagolova’s Welcome to Vermont, a close look at families (from Bosnia, Somalia, Rwanda, and Iraq) resettled in Vermont. From Cambodia to Vietnam, the Fest looks at a world in flux, with films that tell the human stories so often missed by the media. And much more: free programming for families on Saturday @ noon, a celebration of the local filmmaking with the return of the 72 Hr Cell Phone Fest, regional classics like John O’Brien’s A Man with a Plan (1996) and very special guests, including the director of Good Funk (Adam Kritzer) and the activist, humanitarian, and memoirist Le Ly Hayslip. Wednesday opens with the journey of the Strand Theatre: travel back in time to 1924 and enjoy—accompanied by live music—Harold Lloyd’s Hot Water, the first film ever shown at the Strand. Local works fill out the bill, including Jason Torrance’s Melodrama. The 72 Hour Cell Phone Film Challenge Returns on Thursday! Over twelve teams participated last year—Plattsburgh State students, community members, families, and aspiring auteurs! 3 days to make a short film on your phone. Screening on Thursday night. Who will be the winner? Friday is our Gala Community Event! Mingle and celebrate community--everything that makes the North Country special. We’re honored to present Good Funk by director and arts-educator Adam Kritzer: winner of the Harlem Spotlight Best Feature at the Harlem International Film Fest, it tells the story of 3 generations of Afro-Caribbean immigrants in the Red Hook neighborhood of Brooklyn. Kritzer will share with us the unique apprentice program he developed to shoot the film with the help of young people in Red Hook. Saturday opens with FREE MOVIES FOR FAMILIES @ 12. We then focus on films by and about refugees, from Syria to Rwanda, with special guest Mira Niagolova. See also Laura Doggett’s Another Kind of Girl project, which empowered young girls in Syria to tell their own stories. 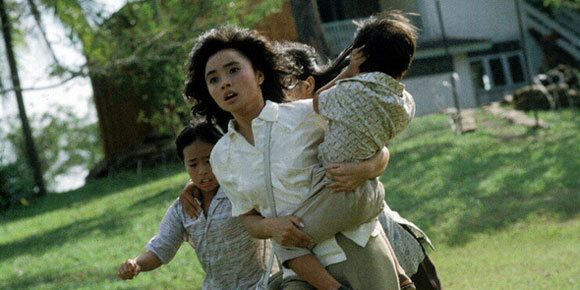 Next we present a special screening of Oliver Stone’s Heaven and Earth—we’re honored to be joined by Le Ly Hayslip, the activist, humanitarian, and famed memoirist. We look forward to a powerful conversation @ 6:30 before the film. Sunday finishes strong with two docs that are not to be missed. Left on Pearl recovers the moment in 1971 when women occupied a Harvard building to fight for equal rights. This little known story is more than timely in our age of campus activism and fights for equal rights. Angkor Awakens, by Cornell Physics prof Robert Lieberman, has been called “harrowing” by the New York Times—a look into the political unrest of Cambodia. Perhaps the perfect addition to a festival that examines the personal face of political unrest. Sunday also includes avant-garde shorts, including one by the Atom-R collective, which includes the electronic media artist Judd Morrissey. A Man with a Plan, the comedic political doc of a Vermont politician, ends the fest. Always a crowd pleaser. And there’s so much more…. Power—a Plattsburgh State student film on poverty in the area; international shorts from around the world; a Thursday night horror block(!) with Lake Nowhere and low-fi indie heroes Mountain Carol; and much more…. SUNY Plattsburgh students and CCC students are free. $10 button gets you into all the movies.